A court-appointed attorney and two guardians finally gained access to Southwest Key Programs-Casa Padre nearly one month after obtaining a court order to enter the facility that holds undocumented immigrant minors. On July 11, Cameron County Court-at-Law No. 4 Judge Sheila Bence appointed attorney Myles Garza, investigator Hailey A. Hobren and six guardians to investigate whether children held at the nonprofit facility that contracts with the Office of Refugee Resettlement are in need of legal guardians. But when the court-appointed team showed up to Southwest Key Programs-Case Padre with a court order on July 20, they were refused entry, and by the end of the day lawyers with the ORR removed the investigation to federal court, arguing that is the proper jurisdiction. However, court documents indicate Garza and two guardians on Aug. 17 entered the facility, along with ORR counsel, for a tour and were able to ask questions regarding the medical, physical and psychological needs of the undocumented children being held there. Court records do not reflect any other details about the visit and Garza has previously said that he is unable to comment on the guardianship investigation. This particular motion is asking a federal judge for a three-week extension to answer an ORR motion to dismiss the investigation, which was granted. Garza says in the court document that he has been communicating extensively with the ORR and is attempting in good faith to resolve the case without further litigation. 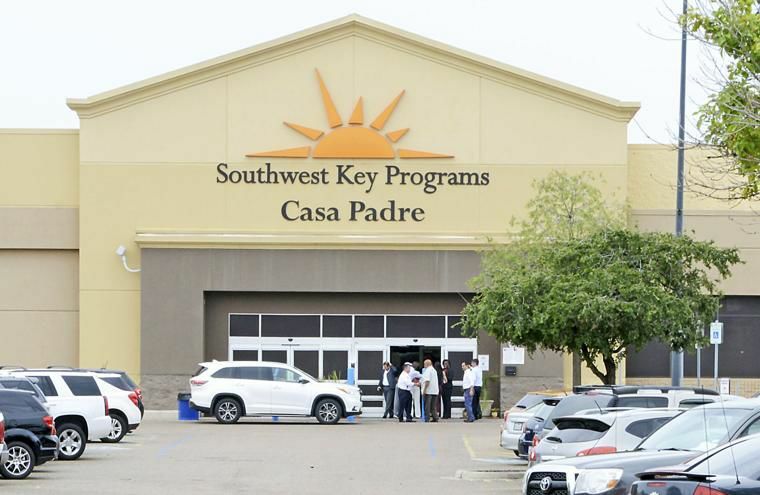 The Southwest Key Programs-Casa Padre facility in the old Walmart on Padre Island Highway became a national center of attention in early June after Democratic Oregon Sen. Jeff Merkley showed up to the facility, which is the largest of its kind in the country, demanding access. Waves of politicians from around the country followed suit for weeks. The visits came at the height of President Donald Trump’s zero-tolerance policy toward immigration prosecutions, which resulted in authorities separating children from parents after families either crossed the border illegally or crossed illegally seeking asylum. While zero-tolerance prosecutions continue and federal court dockets in Brownsville indicate large numbers of misdemeanor illegal entry prosecutions, Trump has since ordered that family separations cease. A federal judge in California has also blocked the administration from separating children and parents after the American Civil Liberties Union sued, alleging the practice violates the Flores Settlement, which prohibits the government from detaining migrant children for longer than 20 days. In its latest update to that judge on Aug. 30, the ACLU reported that it is waiting for an updated list on 1,923 reunifications and 203 other appropriate discharges. The ACLU also reports that 528 children still remain in ORR care, including children the government believes were not separated from parents, or parents in other custody or parents that may be a danger to their children. The ACLU notes in the report, however, that the information provided by the government has contained discrepancies, making it difficult for the organization when advising plaintiffs and advocates.